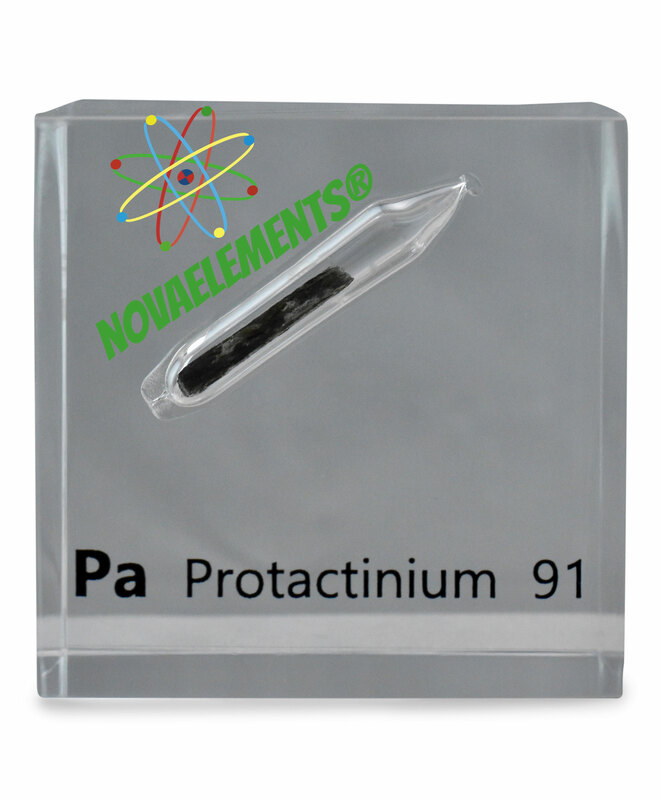 Protactinium primarly is generated from the decay of the rare isotope uranium 235 (via the very unstable thorium 231). Therefore it only exists in small amounts, most of it is found in nuclear waste. The half-life of the most stable isotope 231 is 32760 years. 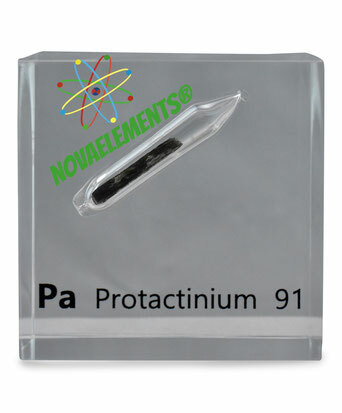 Outside of science, no applications for protactinium exist. This is a real sample of few micrograms of Pa-231 as confirmed by the spectroscopical analysis attached in pictures. Certificate of Authenticity now available. Last small samples available for the sale. Incredibly super-rare element. No restock. You will receive the sample inside an argon sealed ampoule and labeled glass vial, the sample is acrylic casted inside the vial permanently.